Mahaffey Fabric Structures was recently contacted by a leading provider of some of the world's most advanced, technology-led defense, aerospace and security solutions, about providing a temporary warehouse facility. 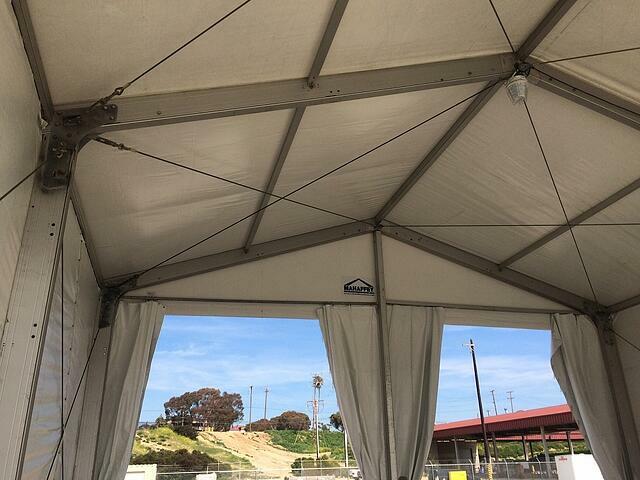 The company was in need of a temporary structure to house combat vehicles during construction. Our client, based near Camp Pendleton in California, contacted Joe Berger, a project manager in Mahaffey's Northeast office, asking about our ability to fulfill an immediate, temporary warehouse need. The client had an urgent need for more space to design, manufacture and store their armed combat vehicles to avoid delays in production. Although the main challenge involved the tight turnaround — the structure needed to be deployed and installed as soon as possible — height was also a critical factor affecting the design and installation. With the expedited project timeline in mind, the Mahaffey team went into rapid response mode. The project management team, together with operations personnel, coordinated vendors, logistics of transporting the structure, and permitting in a matter of days. On March 13, less than a week after signing the lease agreement, the Mahaffey team installed a 33 ft. x 33 ft. SuperSeries structure. 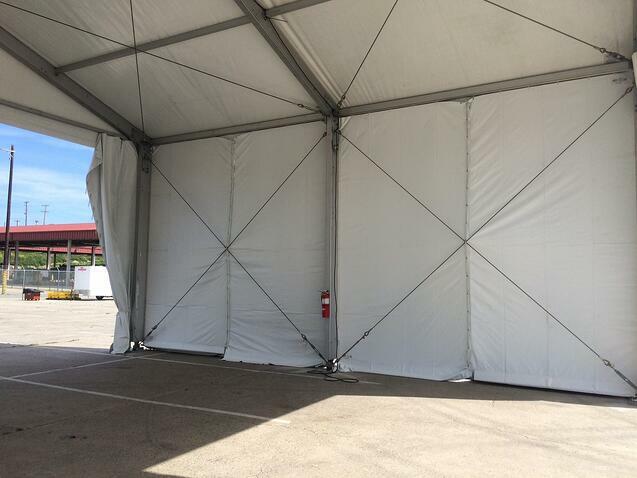 This lightweight, aluminum structure provided a versatile, durable building option to meet their temporary expansion needs. Mahaffey's design also employed 16.5 ft. aluminum uprights to meet the client’s critical height considerations. Despite some initial concerns over the tight timeline, the client was extremely pleased with Mahaffey's rapid response. We provided them with exactly what they needed: quick deployment and installation of a customized structure that met specific height and security requirements. This structure allowed the operation to avoid costly delays, giving them on demand coverage that will continue to supplement their current facilities for the next 12 months. 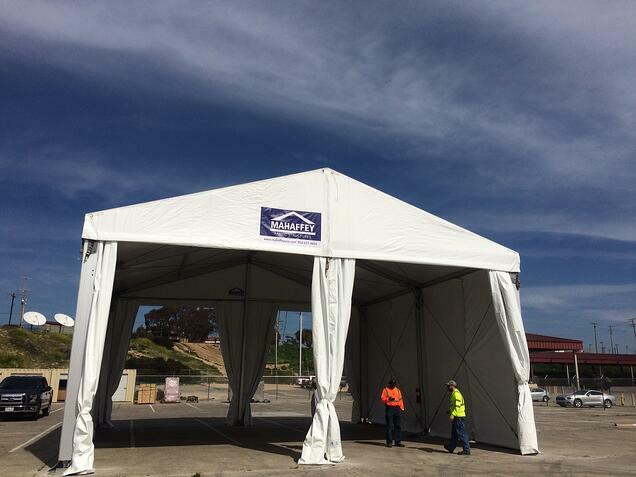 Interested in learning more about temporary warehouse storage tents for your next project?